One System for All Punch & Bind Methods; Coil, Wire, Comb & More! Count on VersaMac’s rugged construction to get your job done on-time, especially in critical moments when you can’t afford downtime. 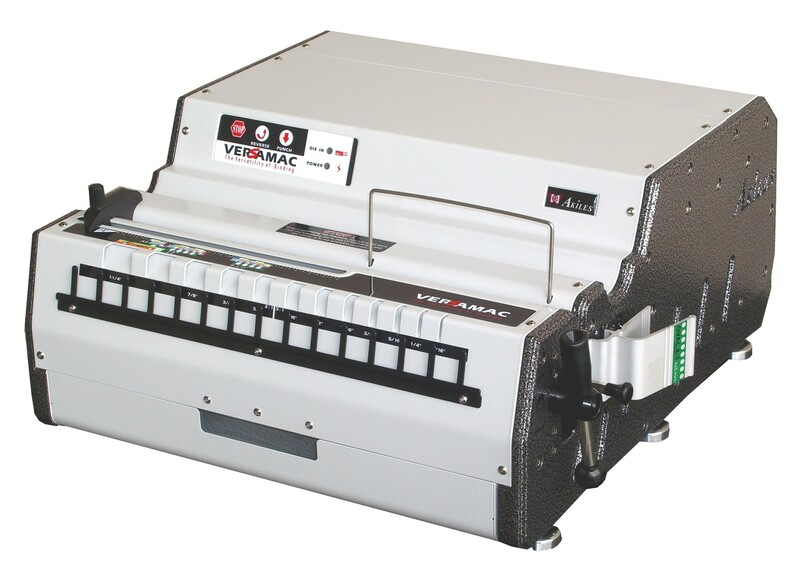 VersaMac’s modular design and interchangeable die feature means you can expand on your VersaMac’s functionality any time by purchasing more accessories and binding modules. This means added value for your existing equipment and a better return on your initial investment. *Punch capacity will vary depending on paper weight and type. Punch up to 55 sheets of 20 lb. bond paper utilizing the Akiles 3-hole or Velo punch dies. Other punch dies including coil, wire and comb; punch up to 35 sheets of 20 lb. bond at a time. Watch the video to see the versatility in action!